If you’re in need of handyman services , look no further. Here at Bobby’s Handyman Service, we have over 20 years of experience in the greater Tampa area of exceptional work. 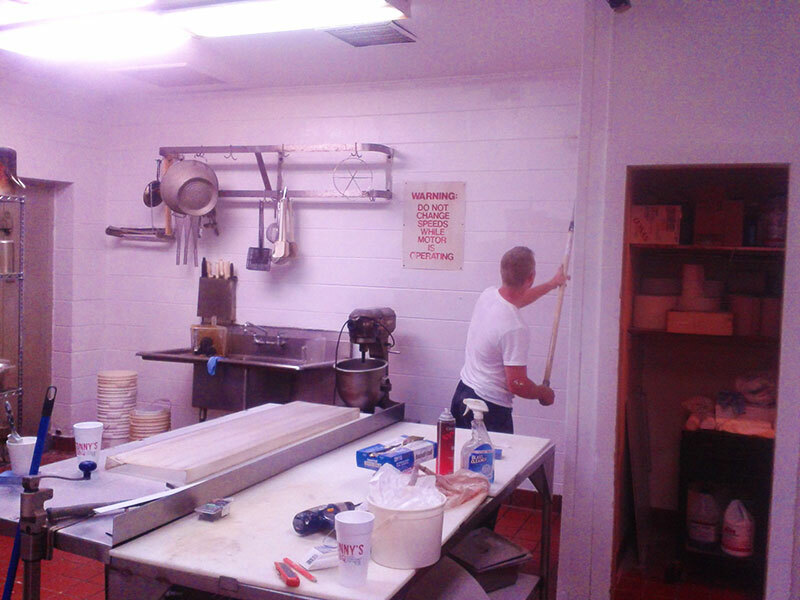 We do repairs, deep-cleaning, retail displays, painting, beautification, and much more. 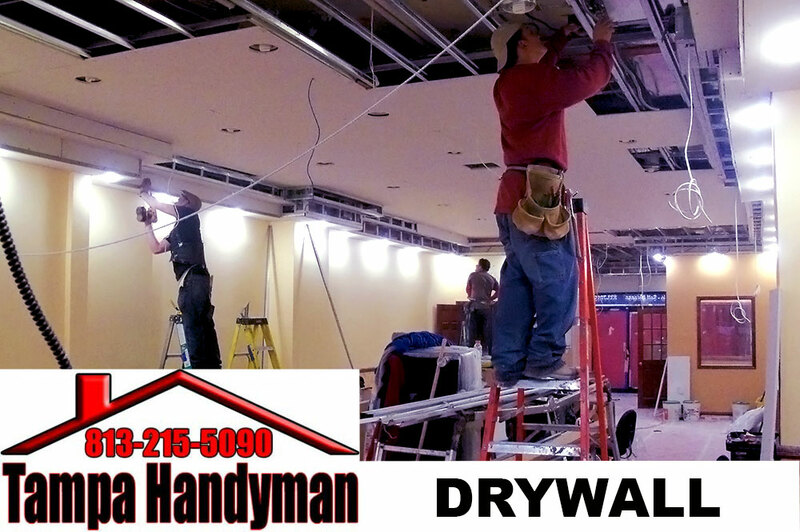 Whether you’re looking for work on a commercial space, small retail establishment, restaurant, school, office building, or even a private residence, Bobby’s Handyman Service can get the job done right. We respond to emergency repair work and urgent jobs, as well as routine maintenance and repairs. 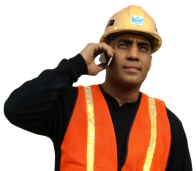 When you call Bobby, you can be sure your residence or your livelihood is in good hands. Our experience in the Handyman industry is second to none. With 20 years under our belts, there’s practically nothing we haven’t seen, fixed, painted, repaired, washed, levelled, cleaned, or improved. Handyman work requires a diverse set of experiences. No two jobs are exactly the same, and it’s only with time that a handyman can come to be prepared for anything. Fortunately for you, we’ve put the time in, and now we’re prepared for any job you send our way. As our customers have a broad range of requirements, we offer a broad range of services! 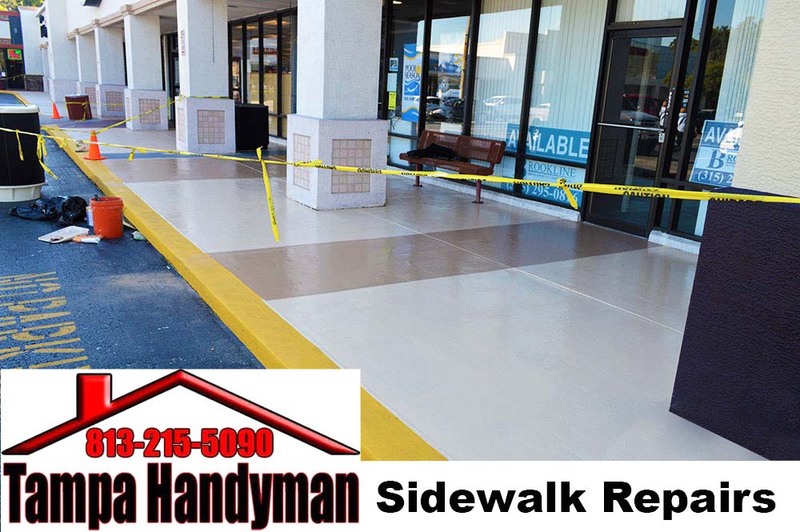 We do commercial interior and exterior painting, sidewalk repairs, violation removals, retail window displays, shelving installations and repair, emergency repair work, and much more. 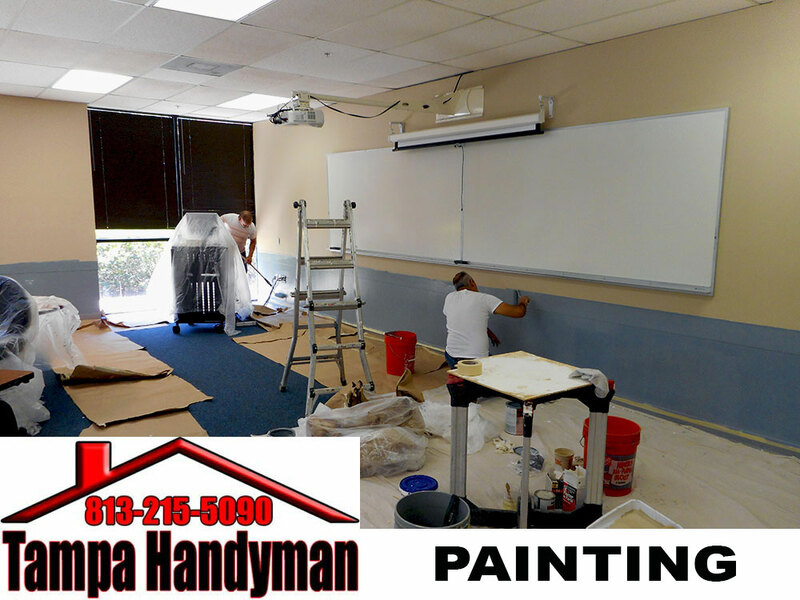 Whether you have a restaurant that needs painting, a classroom that needs repair, a retail space that needs new shelving, a home that needs sidewalk repair, or anything in between, Bobby’s Handyman Services can provide for your needs. For more information on our services, explore the “Commercial” and “Residential” sections of the “Services” tab at the top of the page. To see pictures of our team in action, and the results of some of our work, check the “Photo Gallery”. At Bobby’s Handyman Service, we firmly believe that our number one priority with any job is to exceed the client’s expectations. This belief informs the 100% satisfaction guarantee that we offer on every single assignment we take on. Bobby’s personal motto is “I’m not satisfied until the customer’s satisfied”. As a result, the owner visits every job the company works on, and often can be found working right alongside the rest of the team. We consider our company to have a vital combination of a genuine passion for quality with a commitment to affordable, competitive pricing. Get in touch today, and we’ll put this combination to work for you. Tampa contractor providing commercial and residential handyman services. Our residential handyman services can help you with anything from a fresh coat of paint on your home to cleaning your back yard. 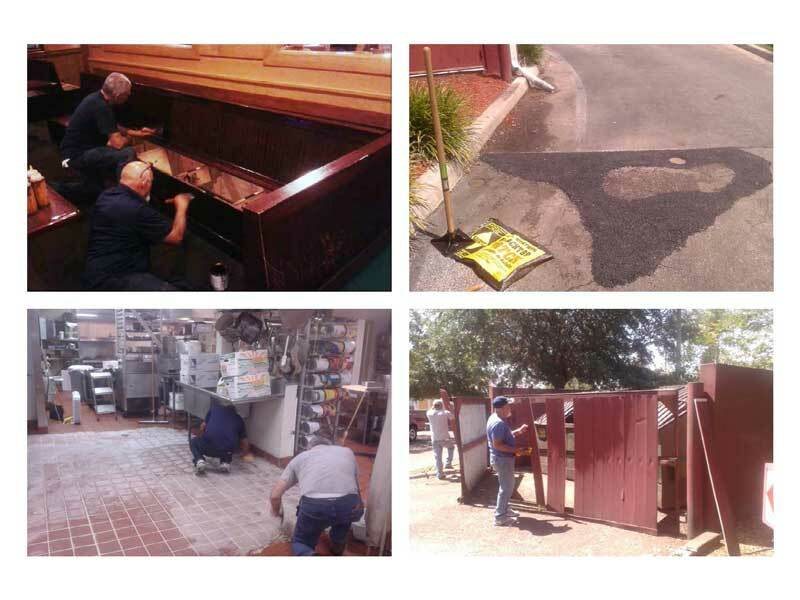 Our commercial handyman services include tasks like refinishing woodwork, repairing pot holes in in the drive through/parking lot, re grouting restaurant kitchen floors and other miscellaneous jobs like fixing a fence or even painting. 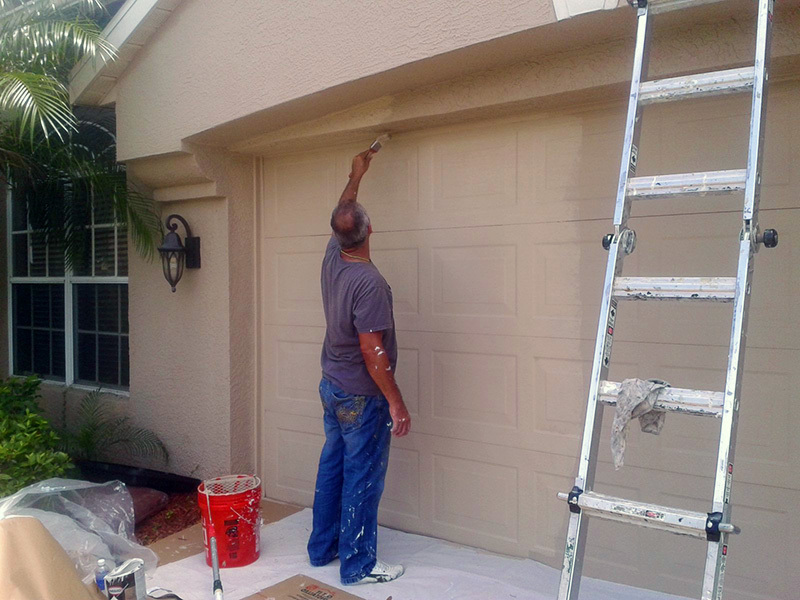 Bobby’s Handyman Service is a local Tampa company with experience, passion for quality, a broad range of commercial and residential services, and fair, upfront pricing. No job is outside of our abilities, and we work with all types of properties: restaurants, homes, schools, retail and commercial spaces, and more. Routine work, or emergency repair, Bobby’s Handyman Services has got your back when you need it most. Contact us at 813-215-5090, or explore the rest of the website for more details.